I have so much to say about this amazing technology that I decided to blog about it. I am a high school technology teacher from Manchester UK who has been teaching 3D printing to my students for the past two years. 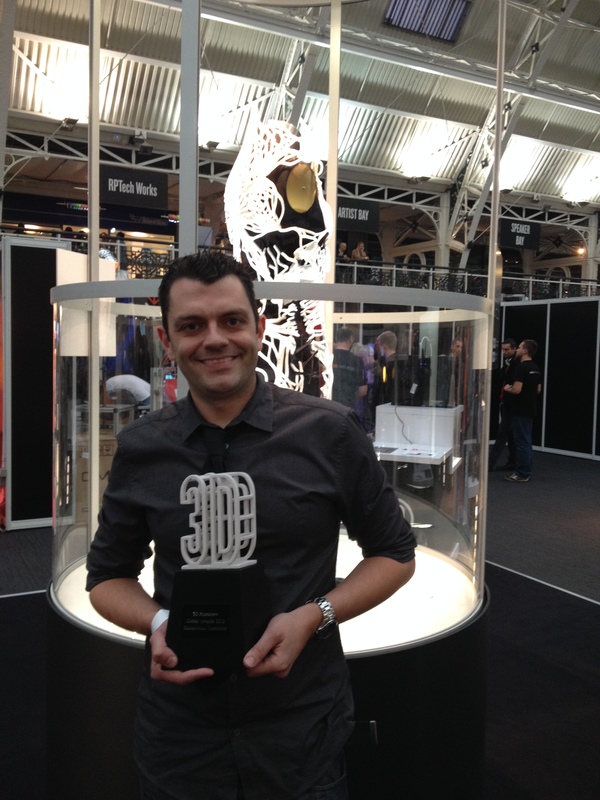 I won the 3Dprintshow educational excellence award for my work educating high school pupils on 3Dprinting (proudest moment of my career so far). What can I say, it has transformed technology education as I know it. This has the potential to be disruptive beyond the power of the internet, manufacturing will never be the same again and this truly gives power to the designer and lets everyday people realise their design dreams. How can I say this….I have witnessed it in the classroom for the past two years. Creativity has been redefined and suddenly you can go from concept to end result in a matter of minutes. I am not sure where this blog will lead me but I love an uncharted journey. Thankgod for 3Dprinting, that’s how I will end my first post! !